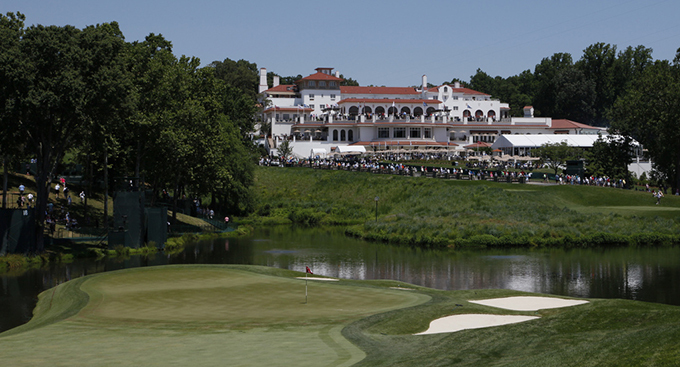 This week sees the tour rock up at the Congressional Country Club in Bethesda Maryland for the AT&T National. The Blue Course at Congressional has seen the original design by Devereaux Emmett evolve through many changes and redesigns by some of the worlds top golf course designers, including Donald Ross, Robert Trent Jones Snr and Rees Jones. The course was formed in 1924 with Herbert Hoover as the Club’s first president. Founding life members include Presidents Taft, Wilson, Harding and Coolidge, while the membership in the early decades reads like a “Who’s Who” of American industrial giants and government dignitaries. The Blue is known for its wide undulating greens, rolling terrain and tree-lined fairways and measures 7,250-yard par 72 but plays as a par 70 for professional events. I am currently away this week on a press trip to Kissimmee, Sawgrass and Fort Myers, sorry for the lack of in depth analysis. This is due to the limited amount of time but look out for the destination and equipment reviews in the coming months. Here are this weeks tips.